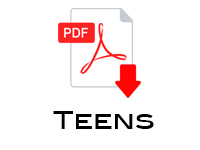 This is a great workbook for your teens aged 15-20yrs. 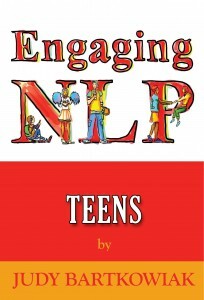 If your teenager is 13-15yr you may prefer to buy NLP for Tweens as this will suit their age group better. This book starts by introducing some NLP basics such as taking responsibility for getting a different result oneself. If you always do what you’ve always done , you’ll always get what you’ve always got. So if you’re not satisfied with the results you’re getting at school, in sport, socially, it’s you who has to change. They will learn about tackling the things that get in your way such as limiting beliefs, the things you think you ‘can’t’ do and learning to recognise your skills. Your teenager will be introduced to the idea of modelling which is a technique unique to NLP which means that you can learn how to do something you want to do by studying the way someone else does it (with excellence) and discover their belief about doing it which is the key ingredient to success. They will learn how to use feedback as learning and how to avoid the pitfalls of deleting, distorting and generalising. Another skill they will learn is how to reframe. At this stage in their life they are having to make important decisions about their future (this is one of the reasons why this book may not be appropriate for young teens) so they will through taking part in the quizzes find out whether they are visual, auditory or kinaesthetic and how to use this to adapt their learning and revision techniques. Stress can be a big part of a teenager’s life so there is a chapter on how to recognise it and manage it. Of course they will be more successful at exams and interviews if they are confidence so there is a chapter on how to boost their confidence for times when they need it. How often do we just keep on doing what we’ve always done and hope that eventually the result will be different. We blame other people; the teacher, our parents, lack of money, our boyfriend/girlfriend but ultimately it’s up to us to do something different to get the result we want. It’s important to have a desirable outcome in mind for every situation. For example, I had a consultation the other day with a girl who is taking her GCSEs this year. “I hope I do well”, she said. We worked together on a Time Line (this is covered later in the book) and once she recognised how much she wanted to be a PE teacher she realised she had a specific desirable outcome of getting a B in Maths that she would need to pursue her career. What she was doing at the moment would only get her a ‘C’, so we discussed what she could do differently in order to achieve the ‘B’ she wanted. Passing an exam or getting a specific grade is quite a big desirable outcome but even in everyday situations such as a discussion with your teacher or doing your homework, negotiating a later bed time or permission to go to a party or club; these are all opportunities to establish before you start the conversation, what your desirable outcome is and how to communicate differently to get a more positive outcome. So here is a new way of thinking. If you do something different you will get a different result. Think of a situation that occurs frequently that you’d like to change. Write it down here. Relationships will be very important to your teenager so they will enjoy the chapter on how to get on with people and how to build successful relationships based on mutual respect. Then finally there is a chapter on work aimed at helping them to think about what they might want to do as a career and how to approach interviews.